Welcome to the March 2014 newsletter! 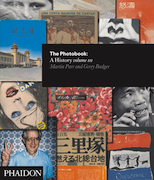 In this selection, you will find an article by our collaborator and friend Olivier Namias, two catalogues of exhibitions (Capa, Lynch) and, of course, new books of photography and architecture. 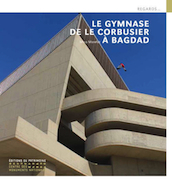 Among them, we are really happy to feature the last volume of the serie by Parr and Badger and the one devoted to this rather unknown gymansium by Le Corbusier in Bagdhad. We are also featuring a back list book (Concrete Mushrooms) and two books (From Counterculture and Ringolevio) we think really useful to understand our way of living in our occidental societies. To conclude, please stay tuned on the new project by Brian Rose dedicated to the Meatpacking District in New York City: its Kickstarter goal has been reached but you can continue to pre order books. 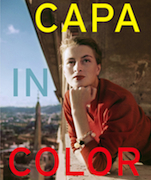 Capa in Color looks at Robert Capa’s color photography, a little-known but important aspect of the great photographer’s work, and includes many never-before-published images. The project studies the history of Albania, focused in the reason of building the bunkers all over the country, how the people of Albania nowadays coexists with them, how and why do they use them. Confrontier presents Wiedenhöfer’s comprehensive project and evidences his conviction that walls are not solutions to today’s political and economic problems. This first book of photographs by David Lynch offers a window into the iconic filmmaker’s creative vision. 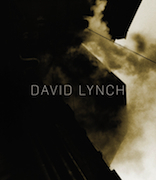 These photos reveal Lynch’s unique style. Fred Turner traces the previously untold story of a highly influential group of San Francisco Bay–area entrepreneurs: Stewart Brand and the Whole Earth network. La mise en relief de Sylvain Couzinet-Jacques. PDF of the article by Olivier Namias dedicated to the French photographer Sylvain Couzinet-Jacques, published in French magazine D'A. This book, with its photographs, the draws and lots of archives is an invitation to rediscover this piece of modern architecture. French version of the historical guide of the Ossuary by specialist Gilles Thomas, originally published in English in 2011. Essential book dedicated to the underground warfare during World War One. 218 photographs of Italian mental hospitals by Raymond Depardon. In French, English and Italian. New project by Brian Rose decicated to the Meatpacking District. 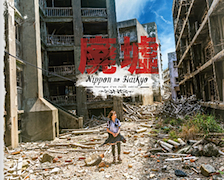 Photographer Jordy Meow invites us to an amazing visit of 38 abandoned places in Japan. Third and final volume of this serie. It highlighs over 200 books dating from World War II to the present day. Copyright © urban-resources.net, March 2014, All rights reserved.